All ALTA LOMA homes currently listed for sale in Peoria as of 04/24/2019 are shown below. You can change the search criteria at any time by pressing the 'Change Search' button below. "At this price; act quickly! 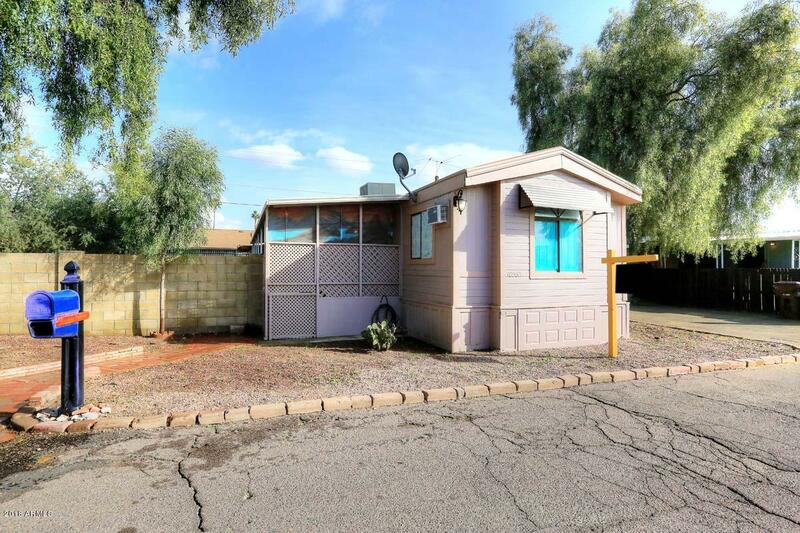 This 2-bedroom, 2-bath manufactured home offers both functionality along with amble room to grow into. Pride of ownership is evident all throughout! Property features beautiful granite kitchen countertops, newly restored kitchen cabinets (2018), & easy to maintain tile flooring. Master bathroom has tub-shower combo & second bathroom features stand-in shower. This manufactured home sits on a huge lot & is unique as it offers secured (gated) carport parking for at "